Launched in 1995, The Iranian is an online news and opinion site for those who care deeply about all things Iranian–identity, culture, music, history, politics, literature, and one another. For millennia, humans have made meaning of the world and their place in it, by the light of fire, telling one another stories under the stars. These stories contained vital information, they told us where to find clean water and food, where to find ourselves in our collective memory. Stories were our news. Story telling, and the members of the tribe who told them, held a critical and necessary place in the life of the community. The stories we tell one another help us navigate our lives, they shape and craft who we are–the imagination and possibility of who we can be. So if storytelling is part of the heart and imagination of a community–who right now is telling our story, the story of the Iranian Diaspora? Who is celebrating our achievements? Who is documenting our aspirations? Who is keeper of the record? Who helps to hold up the mirror of critique, analysis, and self-accountability? The Iranian, now beyond its 20th year, is one of the only English language sources of independent Iranian news, culture, politics, opinion, and art in the world. All other prominent sources are funded by and represent the interests of governments and corporations, the agendas of which do not apparently seek to serve the best interests of The People. One need only reference current headlines and the fever-pitched tone of popular discourse to be reminded that the narratives we broadcast and consume have consequences. After all, we are what we eat. It matters where our ideas and information come from, and it matters how and by whom it is prepared. It’s time to go organic. In the midst of these efforts to ‘other-ize’ and dehumanize us and how we are perceived, our mission at The Iranian is not to rebut or debate these false narratives; such an approach would only add to the cacophony of disinformation and co-opt our attention capital. We are more independently minded than that. Our mission is to simply tell compelling, authentic stories that reflect the diverse truth of who we are. We will tell the big story, as well as the small. We will tell the story that we all are eager to learn more about. We will tell the story that we all secretly wish no one would speak of but must be told, nonetheless. The Iranian is independently owned by Saïd Amin. 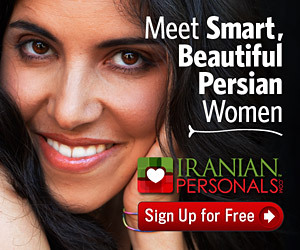 Launched in 1995, it is the longest running online site for Iranians. How does The Iranian financially sustain itself? The Iranian depends on member donations, ads and sponsors to pay freelance journalists, as well as cover operational costs like hosting, site upgrades, etc. The site is currently operating at a loss, with Saïd Amin covering the delta. You can help support The Iranian by making a donation or becoming a sponsor. While most of the articles published on The Iranian are submissions that we received free of charge, or via licensed content, we have a growing roster of paid writers/journalists for specific stories that we would like to see researched and written. Do you allow writers to publish under pseudonyms? Anonymity is a double-edged sword. It can make us less accountable and less empathetic to the impact of our actions. By freeing us from consequences, it can bring out the worst in us. But anonymity can also be liberating. Ventriloquism can expand our creative horizons by allowing us to experiment with different identities or provide a safe space to talk about sensitive issues. We accept pseudonyms and anonymous submissions but discourage hiding behind a mask merely for the sake of hiding. Do you accept articles written in Farsi? Unfortunately we no longer publish articles written in Farsi. How do I submit my writing(s) to The Iranian? You can upload and send your article from our submissions page.